The leading manufacturer of mobile devices, Nokia has announced the availability of its third fully integrated Near Field Communication (NFC) handset, named as Nokia 6216 Classic, which the company claims as it’s first SIM-based NFC device, giving users more convenient sharing of content including images, weblinks, audio files and contact data, as well as secure payment and ticketing transactions. According to the company, the Nokia 6216 classic will feature 2 MP camera, 2-inch bright display (240 x 320 pixels), stereo FM radio, music player, 3G connectivity and microSD slot for extension memory (up to 8GB). “The launch of the Nokia 6216 classic SIM-based NFC handset is a great step forward for payment and ticketing services,” said Alex Sinclair, the Chief Technology Officer of the GSM Association. “We believe this will drive more rapid deployment of the technology and expect this to signal launch of NFC services in the market by operators. 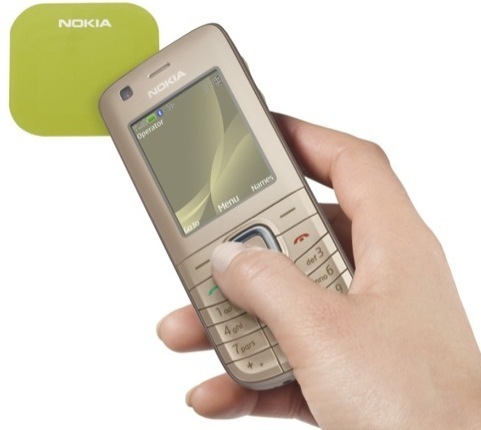 The new Nokia 6216 classic NFC-enabled mobile phone which measures 114.7 x 47.1 x 14.5 mm and weights just 88g will ship in Q3 2009 for about EUR 150.